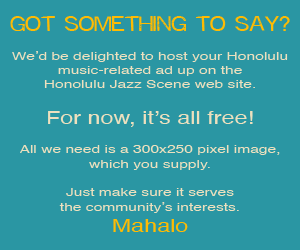 Updated at 1:57pm HST Thursday | Serving 321 events for 993 artists at 223 venues, 9639751 views. 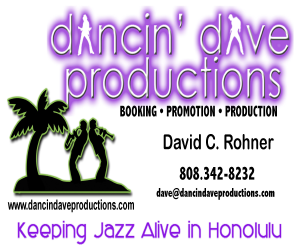 Tommy James, current musical director of the Duke Ellington Orchestra in New York, wild genius at the piano, and prolific arranger; Darryl Pellegrini, transplant to Hawaii from the thriving New York jazz scene whose scintillating performances make him one of the most wanted drummers in Honolulu; and John Kolivas, masterful home-grown bassist who is comfortable in both jazz and classical idioms; are probably three of the most creative souls in Honolulu at this time. Together they will create musical magic. Medici's is a family-friendly, beautiful venue located right in Manoa with plenty of free parking. Medici's has recently been selected as the "Best In Honolulu" jazz venue by Honolulu Magazine! Buy your tickets at http://musicatmedicis.tix.com or call/text 808-351-0901 for questions. The 7 time Nā Hōkū Hanohano award winning band, Mana'o Company, has been in the Hawaiian music scene since 1989. Their latest Hoku award was in 2013 for “Anthology Album of the Year” for their efforts on a compilation album, this project titled A 20 Year Collection of The Mana'o Company has a mix of newly released songs as well a list of all their classic hits, "Drop Baby Drop," "Spread A Little Aloha" and "Roots Rockin" to name a few. Continuing their legacy in the island music scene, The Mana'o Company is kicking off 2019 with a few new songs, their first single “Nobody Gonna Stop Me Now” featuring two of band leader Danny Kennedy’s two nephews Caleb Keolanui of The Green and Micah G Keolanui. 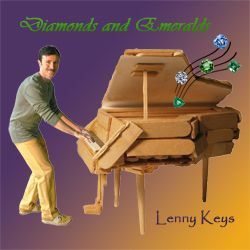 This song is presently on high rotation on all three Honolulu island reggae music radio stations. The band strives to provide quality music for all occasions and keep on "spreading a little aloha" all around the world! Maggie Herron, Pianist, Vocalist and Songwriter is a 2 time Nā Hōkū Hanohano Award winner for Jazz Album Of The Year. She performs with Rocky Holmes, a multi instrumentalist on sax, flute and clarinet and Dean Taba on upright bass.